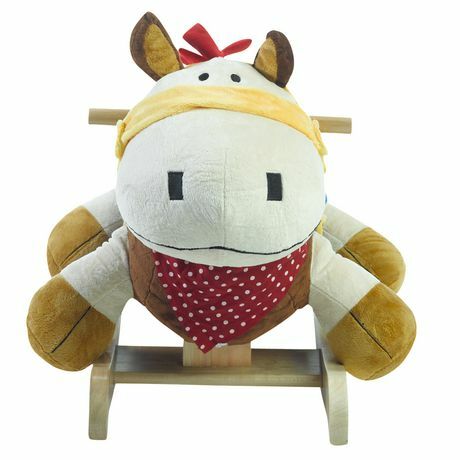 Colt, our uniquely designed western style horse, is an updated version of the classic rocking horse. His colorful accessories are sure to delight your little cowboy or girl. Colt has a cool bandanna, a soft saddle and tactile fabrics like his soft mane and tail.